Parcel delivery to Russia sometimes seems difficult and postage cost is high. But for Topparcel, no job is too big or too hard, we offer the best economy option for parcels delivery to Russia and worldwide. With eighty-five federal subjects and eleven time zones, the Russian Federation is a unique country with the largest surface area in the world. Many of its communities are located in remote areas, which are hard to access by traditional postal services. But major cities, such as Moscow, Saint Petersburg, Kazan, and Yekaterinburg are situated in its Western part and easily available. All these reasons make it important to choose a parcel delivery service with direct access to these areas. Being deft and efficient in our parcel delivery services, we are capable of delivering parcels at any private or business address all across Russia. If you are looking for a service offering cheap parcel delivery to Russia from the UK, then you have come to the right place. Having investigated the Russian delivery market inside out, we are the fastest and safest way to parcel delivery to Russia. With our own courier network and contacts with the local delivery services, we reduce the overall delivery cost and offer you cheap prices for delivery to Russia. Moreover, with our own delivery network, we offer timely and cost-effective solutions to both private persons and businesses. We have our own delivery chain to Russian Federation. You can choose between the door to door delivery and delivery to the nearest post office. Choose Topparcel Courier EMS for the door to door delivery. Maximum weight 25kg. Estimate transit time 10-15 working days depends on customs clearance and recipients area, as Russia is huge. The tracking number is provided for this service. Choose Topparcel Rus Economy for economy delivery to the nearest post office. Maximum weight is 20kg. Time in transit 10-20 working days. The tracking number is provided for this service. As it is road delivery, you can ship lithium batteries, liquids, perfumes, phones and many other items which you can not send by air. In comparison to other parcel delivery services such as DHL, TNT, UPS, we save you up to 70% on sending the parcel delivery to Russia and you able ship parcels to any private address without volume weight. All thanks to the volume of goods we are able to ship. You can even compare prices for parcel delivery to Russia. Just enter the weight and dimensions of your package in the quote form. The main directions of our company: parcel delivery to Russia and other countries of Eastern Europe. We collect parcels from anywhere in the UK or Europe and bring them to our facility for transit. After sorting, we delivery parcel it by using our own chain to Russia from where it goes through the customs and border control. It then reaches its designated address through the local post service or by our dedicated carriers. We deliver big and small parcels between the UK, Russia, Ukraine or Kazakhstan for many years. Having infused years of experience, we have all that takes to deliver your parcel on time with minimum hassle. Our online tracking tool will help you track your parcel, anytime you want and our great customer service can answer the question any working day. To date, transport companies offer various types of parcel delivery to Russia. We are second to none and are born to offer our clients easy and affordable ways. This helps us in getting the parcel delivered all across the world, within a fraction of time. With our prompt and convenient services, we allow our clients to get its parcel delivered anywhere in the UK or beyond. We are an online service and can be accessed via computer, smartphone or tablet. If you are looking for alternative cheapest parcel delivery to Russia from the UK, do not look any further. Topparcel is the best alternative to postal delivery, we offer our customers affordable ways to deliver parcels to their recipients in Russia in 2-3 weeks time. We quickly respond to your requests and has a flexible settlement system. 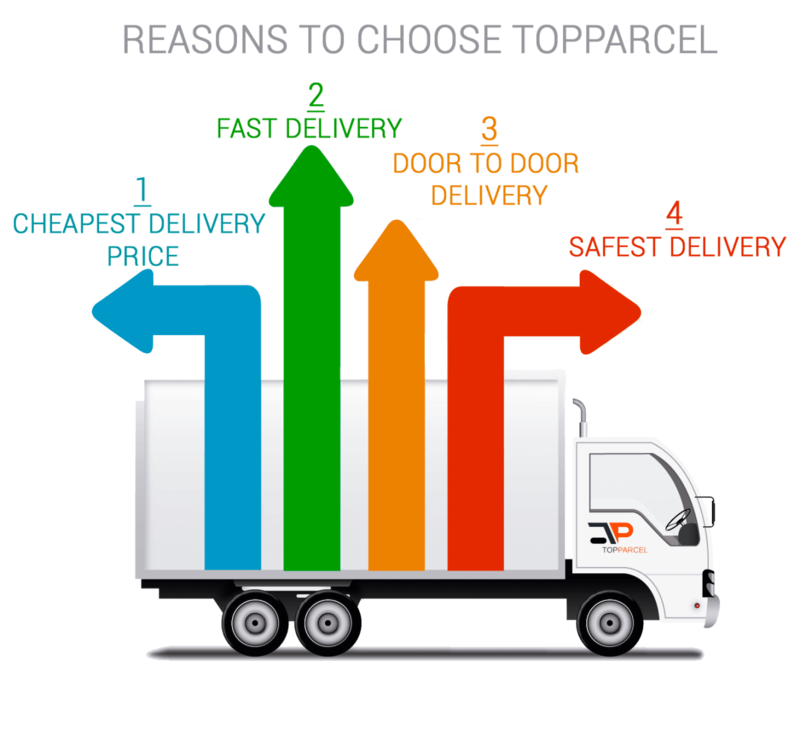 In addition, Topparcel has an advanced online system for calculating the cost and ordering delivery from the door by courier. Also, you can order parcel delivery from your mobile phone or tablet at any time. Our mission is to provide maximum quality and comfort to our customers. We offer the lowest price for the parcel delivery to Russia, we facilitate the delivery process, so you receive your parcel quickly and safely. With us you can simplify your business, if you work with Russia and you need to constantly send parcels to Russian Federation with us you will save a lot of time and money. Also, our delivery network covers all the Europe including Ukraine, Kazakhstan and many other countries. If you set a goal to enter the European or Russian market and increase your business, our courier delivery is what you need. The most important thing for our client is to get the service he expected, and this is our main target. We always treat your parcels carefully and with care, our employees are professionals in their business. We also provide pallet delivery at the best prices. If you start comparing us to the world's leading shipping companies, such as TNT, DHL and UPS, you will find that by working with us you will save about 70% on delivery. We always control the delivery of your parcels from the delivery point to the destination. Being a convenient and cheaper alternative to traditional Post Office, we ensure ultimate convenience for domestic as well as corporate clients. We offer the best shipping rates for parcels to make the shipping process a whole lot quicker, easier and secure. Our aim is to help our clients build their business. To help them do so, we have stretched our network of services across East Europe, Russia, Ukraine, Kazakhstan and other destinations. If you want to extend your business to the newer markets our service of delivery to the Russian Federation will help you. We are committed to our services and our hard work speaks volumes for us. We constantly strive to deliver the very highest level of perfection. Top parcel offers you advantages, you don’t get anywhere else. Being affordable yet reliable, we have no hidden charges. For the best rates on shipping to Russia, enter your parcel details and get a quick quote. In the dispatch of parcels between UK and Russia, there are a lot of trivialities and huge obstacles that will have to be tinkered with to get your parcel on time unharmed right to the doorstep. But with Topparcel, you can don't worry and quietly wait for your purchase. Get Your Parcel in Russia. Each citizen of the Russian Federation can import up to 25 kg per calendar month, customs limit per one person is 500 Euro per month, not including the cost of delivery. You have to fill customs declaration on our website during the booking process. 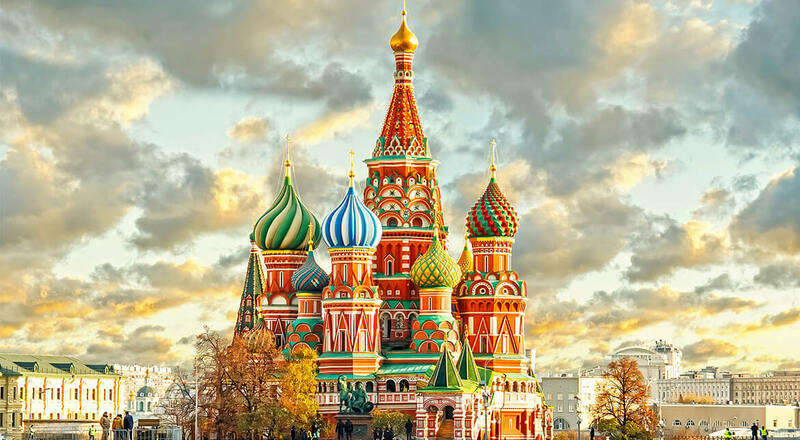 Delivery transit time to Russia average 7-14 days and can vary according to which location you are shipping to, and the service you chose for your parcel. Transit time is depending on customs clearance speed and we recommend to check our general international prohibitions and restrictions before shipping. Make sure you have attached all documents to your parcel before shipping, our system will provide you with the label and all forms required by customs. All parcels fully tracked and the recipient will get a text message from the local courier. Please provide a mobile phone number for text messages or email for easy tracking. We recommend reading our packaging advice for more safe and secure delivery.